With the launch of the Sony PlayStation 4 just weeks away, it’s important to shell out for the best PS4 bundle money can buy and we have 5 great bundles here. From the first half of the year, when the PS4 and Xbox One were announced, the next-generation gaming cake in the window has been tempting us with its launch title icing and great graphics sponge-iness, and now, after months of media hype and countless advertising trailers, next month sees the launch of both. No doubt you will have already chosen which game playing technological behemoth will get your cash this Winter but the key is to pick the right package for your money. You don’t want to end up with duds of games and end up paying for peripherals that you don’t want, now do you? Luckily, we’ve put together this list of 5 of the best PS4 bundles to get your money’s worth in this next-generation of gaming. Being pinned as the quintessential PS4 shooter, Killzone Shadow Fall is kind of a no-brainer for being matched with a PS4 to make an official Sony bundle. The next-gen Killzone title once again sees Earth’s ISA forces take on the Helghast, the red-eyed space warriors of the planet Helghan. A first person shooter running at 60FPS on a top notch engine that will rival Call of Duty: Ghosts’ reskinned engine from the last console generation and Battlefield 4’s story, Killzone Shadow Fall in itself is a great premise. Paired with the PS4, you get the new Dualshock 4 Controller chucked in too all for £384.99 (thought prices may differ in your local currency) from most retailers that are selling the console, including Amazon, Gamestop and GAME. Want a bit more bang for your buck? This title gives you not just one, but two first person shooters. The first, Killzone Shadow Fall, has been explained above, but the other, Battlefield 4, a third party launch title from DICE, who’ve been developing this series for years and EA, who’ve published just about every game on the PS4 launch title list, will likely offer an equal pull for gamers who played the last, quite stellar outing of the franchise, Battlefield 3. In Battlefield 4, your squad must battle tooth, nail and bullet through an ambush as the last ship alive on their way home from a mission Expect lots of shooting, lots of explosions and more set pieces than you can shake a level designer at. This PS4 bundle, called the ‘Action Pack’, including the aforementioned, is available from all good retailers for £424.99 (prices may differ in your local currency). Yet another PS4 bundle on this list that includes Killzone Shadow Fall (the joke’s on us as every bundle on here includes the game! ), the PS4 Adrenalin Pack bundle trades the extra shooting of Battlefield 4 for some good ol’ tarmac streaking, rubber burning fun in the case of Need For Speed: Rivals, EA’s next-gen racer. Need For Speed: Rivals pits cops vs illegal street racing hoodlums against one another in the name of ruling or dominating the streets, respectively. It’ll likely look extremely pretty on next-gen, as racers tend to do, and will also fill the chassis sized gap in your PS4 game collection left behind by the now delayed PS4 exclusive launch title, Driveclub. You can buy this PS4 bundle from most retailers for £424.99 (prices may differ in your local currency). To call this PS4 bundle a ‘Mega Pack’ is a slight understatement as it has just about everything you’d want form a launch lineup and then some, just to prepare you for the next-gen gaming onslaught for years to come. In this bundle you’ll get Killzone Shadow Fall plus EA’s super soccer sim, FIFA 14, to keep you occupied by trading tackles and shots on goal instead of bullets and fatal shots on enemies . FIFA has become somewhat of a stalwart of a launch title and on PS4 and it also runs on EA’s ‘Ignite’ game engine, making it somewhat of a marvel when it hits next-gen platforms. As for the PS4 Eye, that’ll be used for upcoming motion control utilising titles (and Sony have assured fans that there’ll be plenty of them), along with two Dualshock 4 controllers, perfect for multiplayer gaming, so this bundle doesn’t just include a few extra pieces of hardware, but a future gaming investment too. 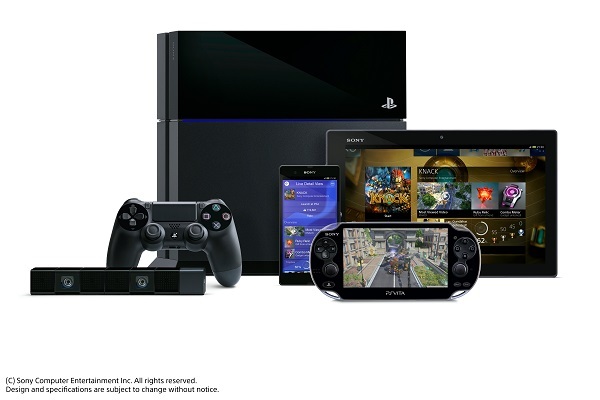 This PS4 bundle is available for £469.99, also from most good retailers. The final bundle on this list, could also be considered as an ‘investment’. By now, it’s a fairly known fact that online gaming on PS4 will cost you, specifically, you’ll need a paid PlayStation Plus account. Not only does a PS Plus account give you access to online gaming on PS4, but it also provides you with free PS4, PS3 and PS Vita titles, for as long as your subscription lasts. With this bundle, not only do you get a year’s subscription and Killzone Shadow Fall, you get Sony guaranteed freebies and a Dualshock 4 controller to play them with too, so consider this bundle well worth your money. The PS4 bundle is available from ShopTo.net for £435.85. Seen any other good PS4 bundles on the web? Share them with us in the comments section. ﻿Saludos a todos! Podrias decir que el tipo de plataforma con la que trabajas? parte de Web blogs y yo estoy explorando para hacer algo completamente novedoso. P.D Disculpas estar fuerfa de tema pero tenia de preguntar! lo he leido detenidamente y ahora me gustaria poder comentar.